In our industry, surely a stellar set of services is the most important for attracting new guests, but what do you think about the significance of hotel reviews? But how do these reviews work? a single customer can recur a hundred others and the chain of these hundreds would then recur thousands. This way, the chain would keep growing and eventually makeup to your reputation in the market. Then on, this reputation would work for you to bring more and more customers which will lead to revenue addition. Undoubtedly, this circle of reputation and reviews would push you up as a brand. And that’s exactly what I want to talk about here. The power of reviews. Although the time has kept changing and several tactics have been coming up lately, but somehow this tactic has always remained golden. The veteran hoteliers applied a similar tactic of managing guest reviews for the hotel. Currently, that can be learned by the beginners as well. Although in olden times the chain of hotel reviews only acted offline whereas, these days, this review chain runs online too, which is quite scattered and for most times, neglected (a major crux of the matter). It is an inevitable fact that now while taking care of offline hotel reputation, the hoteliers also have to render themselves for the online hotel reputation management. And the hotel review chain that runs offline may have limitations but the one that runs on the internet has hardly any-due to its exposure to worldwide audiences. Your hotel reviews matter. Why? While booking a room, checking online hotel reviews has become the first step for the travelers (you do the same while going on a trip, don’t you?). The statement can also be stretched by saying that reviews that fall on the internet can run riots. Mainly because hotel reviews establish a sense of trust and credibility of your hotel in your guests’ minds. They become aware of what to expect from you when they stay at your place and are crystal clear on the services you provide. Evidently, you cannot deny the relevance of your hotel reviews in your hotel’s business growth. Hence, you would be giving yourself into the fire if you’re not doing your online hotel reputation management the right way. But the question is, how’re you going to do it? Wondering if increasing the number of employees in your staff can help? Wait, no! Think smart, think technology! How can an online hotel reputation management system help you? The impact of online reviews on hotels can be greatly seen these days. They’re present on the OTAs you’re listed, social media like Facebook, metasearch engines like TripAdvisor, and even on our favorite search engine: Google. In differentiating your services and reputation over the time with the help of guests’ opinion. You get to analyze your reputation against competitors’. You can then invest this experience in designing your forthcoming plans and assign real-time goals to your teams. But only receiving reviews is just as good as liabilities. You need to streamline those hotel reviews in such a way that they work as assets for you. This can be made easier by acknowledging them, classifying them and acting on them. To become a superpower, you need to sort all your strength into important fragments, said one of the greatest leaders of democracy. Well, that is what you’ve to do with your hotel reviews – sort them all into separate stable sections. See, you may be coming across many hotel reviews on different OTAs and different sites but not all reviews are even. While you’re continually receiving good reviews for your services, you can also receive a poor one once in a while (it can’t always be goody-two-shoes). However, the labeling of hotel reviews is not just limited to good and poor, but the classification can also be carried out on the basis of many entities. Besides, the work of hotel reviews is not just confined to receiving them and sorting them. You’ve got to respond to them in order to accelerate their effect and strengthen your familiarity of the guests which stayed with you. Now, this is easier with the help of an online hotel review management software. If this is not convincing enough, let us still dig deeper and look for the importance of performing your hotel reputation management with the help of technology. Look, every review counts when your business is concerned. Good hotel reviews attract bookers to your doorstep whereas the negative ones help you rustle up your services and more. Therefore, you just can’t deny the impact of hotel reviews on your business. Internet these days has become a digital advisor and clearly, ignoring the hubbub of online reviews will not be a wise choice. 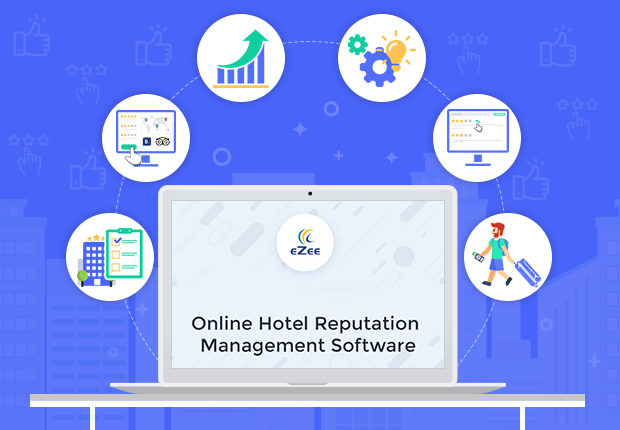 An online hotel reputation management system will help you to do it without any disturbance, thus increasing your bookings through reliable reviews. While your guests are talking about their likes and dislikes on the internet, you come to know about your most preferred services. Besides, you’re able to point out the ones that need to be improved. With a proper classification through the hotel reputation management system, you’ll become easily aware of the trends and treads of your business. Since you are being attentive about your pains and pride of your hotel, you would definitely be working on the factors that are pulling you back and eventually would overcome them. Along with the addition in those pride points, you would see your services getting better, which lead to star reviews and ratings from your guests. And the better reviews you get, the more preferred you become; resulting in your improved rankings on OTAs and other travel sites. This increases your visibility, and eventually bookings. This somehow appears like a cherry on the top as responding to hotel reviews is a different way to engage with your guests. In addition, according to a survey, 8 out of 10 people believe that a hotel that responds to the reviews cares more about their guests. Because while you reply to their comments, they feel asserted and it will make them believe that their opinions matter. Responding to those reviews will be a cakewalk with an online hotel review management system. Besides, as you’ll be more aware of their requirements; you’ll be able to serve them better. Clearly, hotel reviews and reputation management are a neglected aspect of hotel management in the present day. But while the industry is progressing, you cannot overlook the wave of benefits it brings for your hotel business. Reputation management for hotels is gaining importance day-by-day. And while others are still busy paving their tunnels out, you can build the highway to the healthy cultivation of your business by moving your focus to your hotel reputation management.